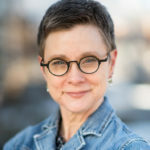 This Somatic EMDR Workshop — taught by Barb Maiberger and Dr. Arielle Schwartz, authors of “EMDR Therapy and Somatic Psychology: Interventions to Enhance Embodiment” — is designed to help EMDR therapists learn the foundational somatic skills necessary to navigate profound somatic experiences during the 8 Phases of EMDR therapy. While we know in EMDR therapy that the body is an important element of the modality, we have found that many therapists are scared of the body’s natural responses that can arise in trauma treatment. Research has shown that effective trauma therapy requires a holistic approach to deal with the cognitive, emotional and somatic symptoms of PTSD. 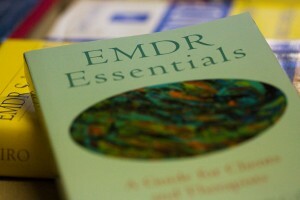 Our approach is an integrative approach to help EMDR therapists navigate the complexities of helping traumatized clients become more embodied in EMDR therapy. Understanding the foundational principles of somatic psychology to increase the client’s capacity to sense and feel their body so they can resolve old traumas and find a greater sense of freedom in their lives. Build somatic awareness through experiential explorations that incorporate mindfulness of sensation, movement impulses, breath and boundaries. Deepen your learning of the physiology of the nervous system and how somatic interventions directly influence affect regulation for the client. Learn how to develop somatic targets to reprocess from body sensations, implement creative somatic interweaves for stuck sensations, and learn how to implement the use of pendulation to create safety for clients. Define that Somatic Psychology is the study of the interactions between with the brain and the body and impacts clients physically, emotionally, mentally, and socially. Recognize the key principles of somatic psychology including awareness, resourcing and self-regulation interventions. Discuss the importance of mindfulness with both therapist and client within the context of doing EMDR Therapy. Identify how holding patterns within the body can block the client’s processing in Desensitization Phase in EMDR Therapy. Recognize how polyvagal theory provides an essential foundation of understanding arousal states as related to trauma. Describe the function of breath awareness for regulating affect and arousal in the client. Recount how nonverbal communications within a cultural context plays a key function in the therapist and client relationship to help build safety and rapport. Identify how somatic counter transference deepens our understanding of therapist/client relationship. Identify how body awareness facilitates the integration of positive affect, and cognitions during the Installation Phase of EMDR Therapy. Exhibit at least five somatic interventions that can be used across all 8 Phases of EMDR Therapy.